This is my body, given for you; do this in remembrance of me. They come, flocking and gathering around the centerfold communal table prepared to break bread in commemoration of an event long before. Popped tops and broken wishbones remember an event, a sacred site, a primordial moment. Tailgating, according to the Encyclopedia of Sports Management, “is a social phenomenon that involves gatherings of people… typically tak[ing] place in the parking lots and areas immediately surrounding a stadium or arena.” Tailgating, while widespread, is most commonly associated with sporting events, specifically collegiate and professional football. Tailgating has become one of the mandatory and necessary activities for attendees to achieve a complete game-day experience. But why does tailgating persist? In a world where truck tailgates are replaced by folding tables pulled out of luxury vehicles, and popped bottle caps and fried chicken are replaced by specialty cocktails and catered meals, why does “the tailgate” adapt to cultural advances, but insist on the continuation of this ritual? …for many sporting events, tailgating seems to be an opportunity to enhance the overall experience that people have and, at the same time, to develop strong, enduring relationships between an event and those that attend. This extended relationship also offers the attendees an opportunity to rise out of the normalcy of day-to-day life and enter a sacred sphere of sports. James states that, “people are not just going to a game; they also have the opportunity to take a break from their normal routine and spend a day with friends.” The relationship that the tailgating participants have not only with one another but with the event itself allows them to create a countered “sacred space” to the mundane routines of work and daily life. I argue that tailgating is more than a moment—more than a table and a meal between friends. 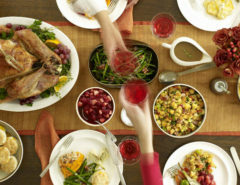 It memorializes sacred actions performed or commemorated over food. If sports are religion (religious), tailgating is thus the necessary ritual for ushering in moments of sacrality before, during, and after the game. Here we will focus exclusively on the football tailgate phenomenon, although other sporting event fans participate in this ritual as well. I ague that the commemorative ritual of tailgating can be modeled after the Christian Eucharist or Holy Communion. For ease and continuity I will say this: a variety of communion practices exist and each denomination, each branch of each denomination, and even each church, have a set of customs, practices, and beliefs that accompany the Eucharistic and communion rituals. 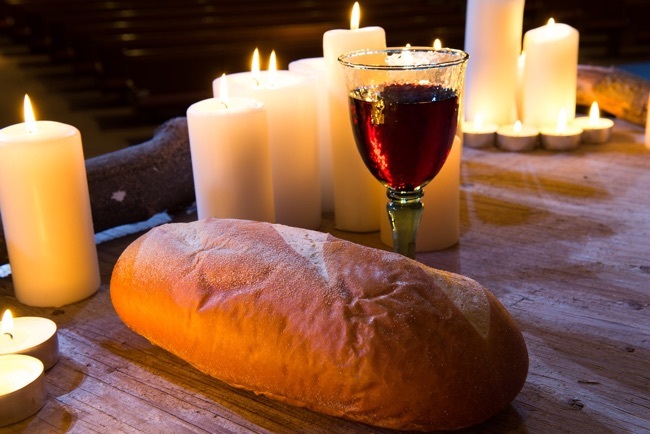 Communion, or the Eucharist, following symbolic form (rather than transubstantive), is the Christian ritual service where bread and wine are consecrated in celebration and memory of Christ’s sacrifice on the cross and the Last Supper where he commissioned the apostles. The sacrament of communion constitutes a memorializing ritual of an initial event (or set of events) to continually bring celebration and memory into the lives of the believers. Tailgating and communion share similarities including but not limited to: evolution over time, required presence for participation, and celebration and memorialization of an event or set of events constituted by the participants as religious. Tailgating, I argue, is no different. The sacrament celebration has itself undergone revivals and reconfigurations with changing theologies and differing denominations over time. Tailgating, likewise, has undergone similar changes over time. What once was a term used to denote the pulling down of a truck tailgate to have a place for drinks and a few refreshments has turned into tables with elaborate food spreads, like the one shown below. 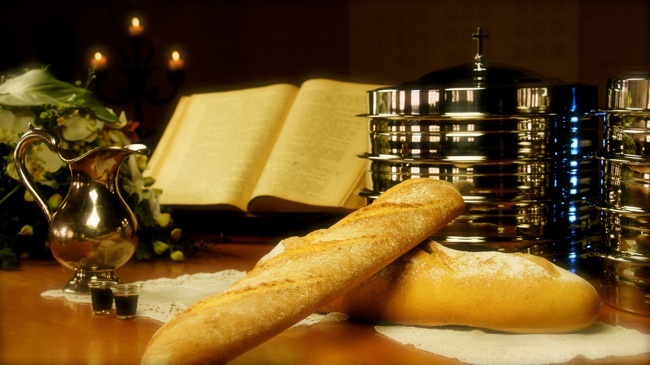 The image above displays a communion table, likely at the front of a church, while the image below shows a tailgate table—complete with bread and wine (beer). An additional similarity between tailgating and communion is the accessibility of the ritual itself. Communion, depending on the Christian denomination, is available and welcome to anyone who professes that Jesus Christ is their Lord and Savior. An additional requirement of this profession is presence. To receive communion, one must be present in the Church building or meeting place, tailgating, albeit with more flexibility, functions similarly. Tailgating can only occur at a football game. Often, sport fanatics will watch the game from the comfort of their own home over food and beer, at a sports bar, or in the backyard of a friend or family member. However, the actual tailgate can only occur at a sporting event—for our purposes a football game—which assumes that the act and ritual of tailgating hinges on the presence of the attendee at the game or games. The ritualistic, performed component of tailgating, like communion, remains open to those who choose to participate. The final similarity, the celebration and memorialization of an event or events, is premised on two main components for this comparison. One, that sports or sporting events are accepted as religious events or even as a type of religion, and two, that celebration and memorialization can vary in type, activity, and duration. I would like to propose Emile Durkheim’s definition for consideration. In Elementary Forms of Religious Life Durkheim states that, “A religion is a unified system of beliefs and practices relative to sacred things, that is to say, things set apart and forbidden — beliefs and practices which unite into one single moral community called a Church, all those who adhere to them.” How does this definition apply to sports, and more precisely, how does this allow the tailgating ritual to assume a religious ritual identification close to communion? Sports are, at their core, a unified system of beliefs and practices—the players’ rules and regulations and fan and observer codes of conduct. These rules and regulations are relative to sacred things or thing which is the game played. There are things set apart and forbidden, but ultimately the beliefs and practices … unite into one single moral community called a Church, all those who adhere to them—the fans. Jargon aside, the relationship between sports and religion is theoretically valid. Durkheim is but one scholar whose definition of religion supports the validity of sports as religious or as a religion. If sports are religion, then tailgating is an applicable, appropriate religious ritual. Tailgating, like communion, memorializes and commemorates events or an event that is deemed sacred to the religious community or Church—to use Durkheim’s terminology. The tailgate table is a display of commitment to the team and to the other fans. People come in and out of the game to share in a meal that was prepared and labored over with love to sacralize the game, create unity between fans, and to unite the community of football fanatics into a single moral community willing and able to celebrate the great game of American football. 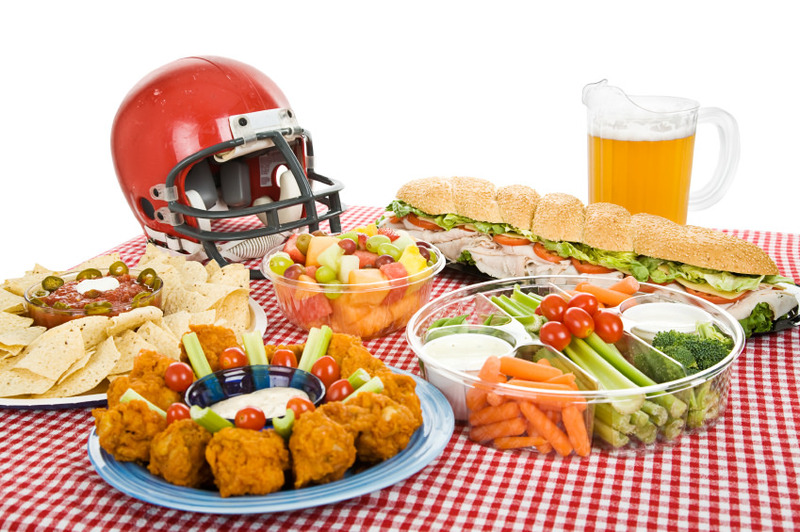 While more similarities exist between communion and tailgating, evolution, presence, and religious commemoration and sacralization remain as three of the most prominent and consistent likenesses between these two seemingly different meals. Tailgate Teardown: What Does It All Mean? 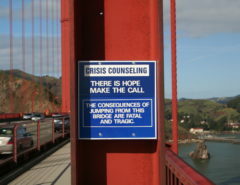 It occurs at a particular site or location. There is variety and diversity in the way that it takes place. The variances can occur due to region, differing ideologies, social location, and/or economic status. All are welcome so long as they accept and are willing to celebrate the event or events commemorated. This description fits both tailgating and communion. It is not a description meant to elevate one ritual over another, or denigrate one ritual or the other. Rather, it is meant to enlighten and enliven our sense of diversity around what is religion, what is religious, and what constitutes religious ritual and sacred commemoration. To many, tailgating and communion would seem as disparate as apples and oranges, however, the similarities in the execution of these events creates an amazing religio-cultural scholarly playing field. Often, the way religion is approached with rigidity and caution, quite unlike the fanaticism and exuberance that one would find at a college football game. Both communion and tailgating represent sacred rituals in differing locations that commemorate events or an event that holds value to a specific community of people. Call it religion, call it sports, but these two ritual acts create cohesion in the way that we understand and talk about religion and religious ritual. Bud Light and fried chicken are quite different from consecrated host wafers and red wine, but both are meals, both create community and cohesion, and both invite those who choose to participate in these ritual acts as a way of celebrating touchdowns or Christ’s sacrifice on the cross. Consider your next tailgate a sacred ritual, prior to a religious event, bearing in mind the unique sacred realities of a college football stadium on game day. 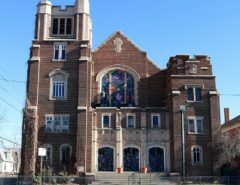 Madison Tarleton is a recent graduate of the University of Denver’s Master of Arts program in Religious Studies who is pursuing a Ph.D. at the University of Denver/Iliff School of Theology’s Joint Ph.D. program in Religion. Her research combines her love for art history and religion. She focuses specifically on the intersection and overlap between early Christian anti-Judaic artwork and later Germanic anti-Semitic artwork.